The consensus from the brief review of the interface comps last week was to simplify. Trying to put everything on one screen was confusing, and I had lost a clear hierarchy in the design. This revision takes those comments into consideration. 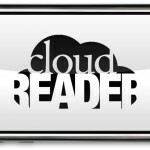 I’m still playing with the treatment of the masthead and of the button layout. 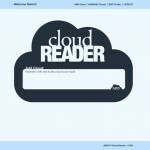 Some exploration of possible logos for the Cloud Reader project. 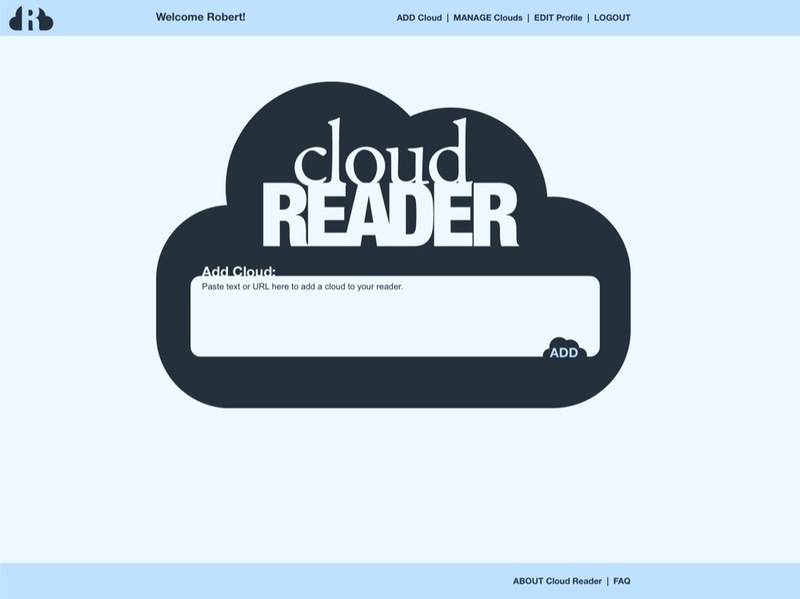 I think the silhouette of the cloud is a bit literal, but most responses from the class were supportive of it. The first version of the logo. 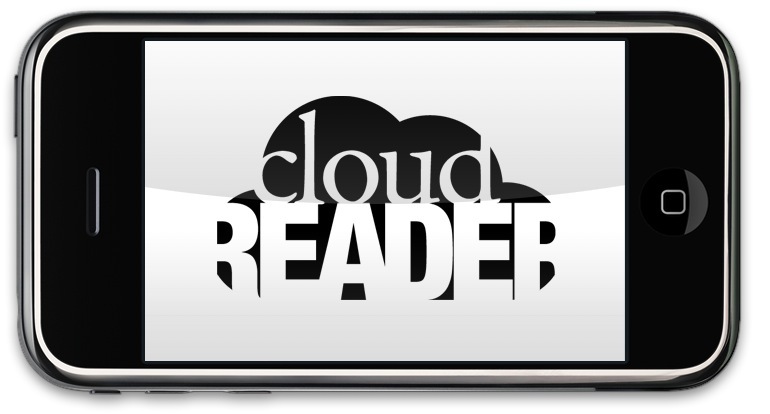 Many people indicated that it reads as “cloud beader”.